My parents Harold and Signe Hodges purchased land in the early 1930’s . The land was at 52 Grand Parade, St. John’s Wood. They built their home there. It was the fifth house in The Woods. 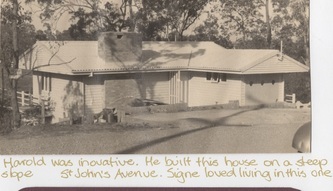 As a builder, Dad later built other homes in the area, in Grand Parade, St. John’s Avenue (including #82, in which his brother Edgar and wife Beth lived), Royal Parade etc., plus many more in the nearby Ashgrove area. Dad bought the wood from the Winn Brothers at Samsonvale. They cut the timber and delivered it. I remember Dad would drive Mum up to the Terminus where she caught the tram to the Commonwealth Bank in the city. She would draw out the money to pay the wages of his staff. I guess he was an early developer. He would buy a piece of land, divide it up and build a house. When it was ready our family would move from the previous house, which he then sold and so it went. I lived here until I was 14 years old and remember all the vacant land and the settlement of new families as the area filled with new housing. All food was delivered to the house, milk, meat, groceries, bread as shops were located out of the Woods. Mum was a keen gardener growing vegies and beautiful flowers. 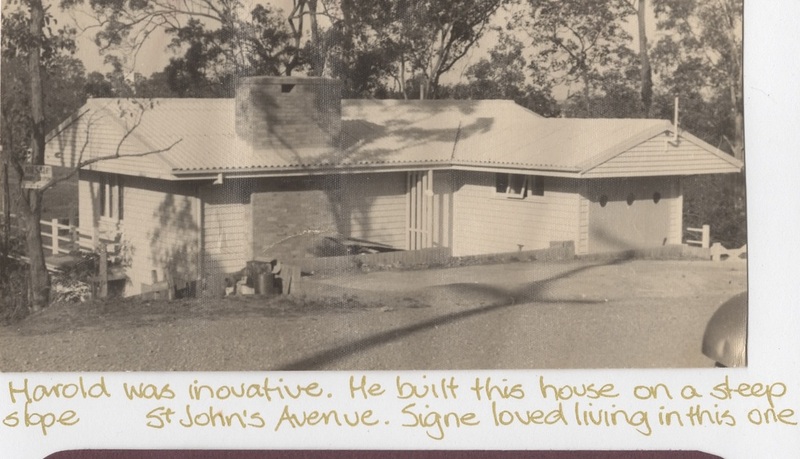 Back then we had dirt roads and it seemed a long walk to and from Ashgrove State School, yet the plus side was, that you knew everyone who lived there. When I was old enough to ride my bike to school, I ventured further to Girl Guides at Woodland Street, Ashgrove and would catch the tram to Sunday School at St. Paul’s Church, on the corner of Waterworks Road and Jubilee Terrace. Dad was the builder of that church. 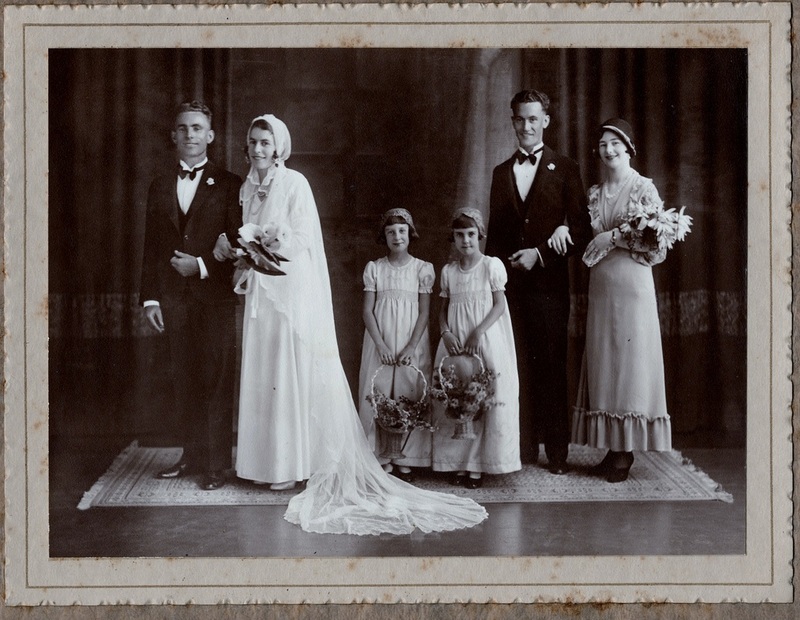 "My Parents Wedding". Harold Hodges, Signe Larsen. Attended by Harold's brother, Edgar Hodges and his wife Beth (nee Wright).